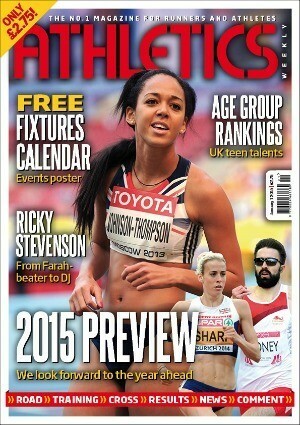 The first issue of AW for 2015 is out now and includes a preview to the year ahead plus a free fixtures calendar poster and eight pages of UK age group rankings. Members of the AW editorial team have also shared their hopes and predictions for 2015 in the latest magazine, including their tips for the year and the events they are most looking forward to. Take a look and then just us know if you agree – who do you think are set to be the stand-out stars in 2015? We also suggested some possible new year’s resolutions for the sport. 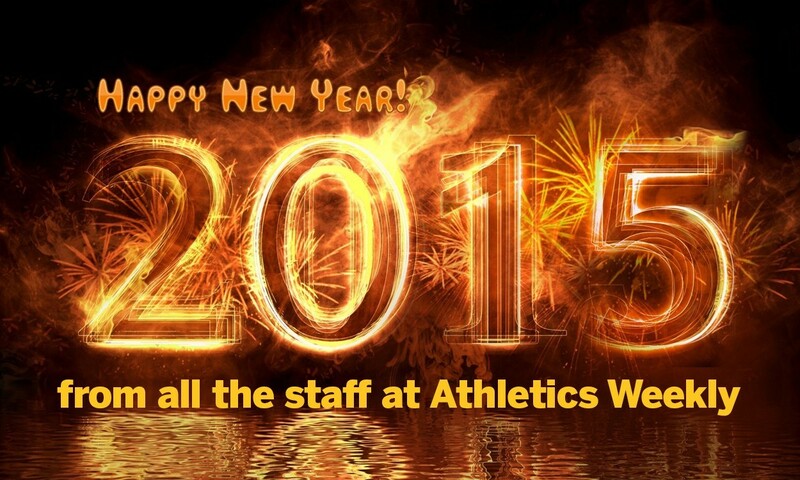 If you’ve got an athletics related resolution then we’d love to hear it! You can tweet us @AthleticsWeekly, drop us a line on Facebook or add a comment beneath this post or on our forum. Not yet managed to pop to the shop to pick up a copy of the latest AW? No worries – it’s available digitally right now. Click here to check out the range of single issues on offer as well as monthly and annual digital subscription options.